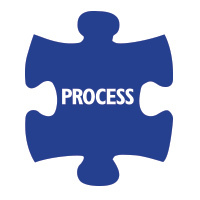 Process | MICHAEL DONALDSON Improving the performance of your business by improving the performance of your people, the profitability of your products and the productivity of your process. Michael possesses the two key ingredients to deliver process improvement– his natural desire for continuous improvement and his formal Lean Six Sigma training which enable him to remove bottle necks, hidden costs and the non-value-adding stages within your processes, making your business more efficient and profitable . His experience at the highest level has helped him to gain a profound understanding of the way in which the daily pressures of running a business can, at times lead to damaging process short cuts and the acceptance of a confusing and hard to explain strategy. Lots of people including Directors and Managers, are often so daunted by the thought of strategy that they ignore it or they approached it as a one off task and are surprised when they end up with little more than a list of tactical actions. Business strategy doesn’t have to be complicated, but it does involve some tough decisions about the future shape of a business and in particular, answering the key questions of what business you want to be in, how you’re going to achieve your goals and what impact it will have on your people, product and process. Michael’s skill lies in helping you to answer these questions, by engaging with you and your key people, often through his dynamic facilitation of the Meta Process which captures with clarity their thoughts and ideas, which he helps them to prioritise and develop; in turn gaining consensus, agreement and ultimately ownership of the defined strategy, which can even be detailed on a single page Orbit Plan, by the people who have to make it happen. His 30 years commercial experience with blue chip companies have been marked by some notable achievements that demonstrate the sort of insightful thinking, problem-solving and can-do spirit that you’d expect from a Management Consultant, who really can help you and your people transform your company’s fortunes. “I know I need help, I just don’t know where to start” said the MD of a family business, that manufactured commodity products in the consumer goods sector. Resisting the temptation to apply previously successful templates to the apparent problems, Michael spent the opening sessions with the MD on understanding the detail of the business: its people, products, processes, markets, customers etc; in order to then be able to facilitate the MD to take the required business decisions and equip him with the tools to implement the action plan via his key people. Michael introduced a strategic process that was most appropriate to the MD’s style and personality, incorporating lots of discussion, followed by review, research, illustrative exercises, thought topics, between-session tasks and crunching the important numbers. He led the MD through an initial four half day sessions, not only in discovering where to start but also how he could make a start. Together they identified the unique selling points of the business that went beyond the sectors me-too quality, service, and made in Britain. They agreed values that would become the DNA of the business’ future communications, both internal and external. They introduced new management planning and control tools, and secured the board’s sign off on the annual numbers within a detailed and deliverable 3 year strategic plan. The start of the plan coincided with an International trade fair at which they achieved a 300% sales increase on the previous year, resurrected interest among lapsed customers, and filled the diary with future appointments – results that built the confidence not only of the MD but also of his stakeholders and staff. Faced with fines from a major retailer for late deliveries and part orders, along with increased admin costs from the related invoice issues, this company was in danger of losing business it had taken 3 years to secure. It was vital to identify the causes of the problems and agree a solution that would be quickly and successfully implemented. Accordingly, Michael circulated a brief situation analysis along with an invitation to a round table meeting the very next day for representatives from every touch point of the customer journey. Together the team examined this journey in detail, avoiding blame and encouraging collective ownership, also identifying a number of small but significant issues and more alarmingly some KPIs that worked against each other. As a result, actions were agreed and implemented, some within a matter of hours.These corrective action plans were communicated to the customer and reported on, initially daily then weekly, until normal service was resumed. It might have taken a little longer for the Accounts Departments to match up and sign off the tangle of historical invoices, but at least there were no further problems. A components business supplying thousands of skus to trade customers, remote sites and end users wanted to create a service differentiator in their industry by offering a later cut off time for same day dispatch than any of their competitors, without increasing their headcount. Michael first set out to understand current performance and practice and then compare it to best in class. Then, having clarified the company’s performance levels, Michael took responsibility for making recommendations on improving process flows, changing working hours, working habits and ultimately introducing a paperless process. As a result, the company’s order cut of time was extended by an hour, the item preparation per head was increased by 240% and on time delivery at the new time averaged an industry leading 96% .